The Malo 37 is the most popular model of Malo Yacht, combining spacious family accommodation with impressive performance, outstanding seakeeping and offshore comfort, featuring the trademark deep aft cockpit for ultimate family safety. This example has been beautifully maintained and is presented in outstanding condition. Her cruising specification includes electronics including, radar, autopilot and plotter, fully battened mainsail and 135% genoa. Benefitting from a special stainless steel upgrade package comprising windscreen frame, cleats and rubbing strakes and cover frames. 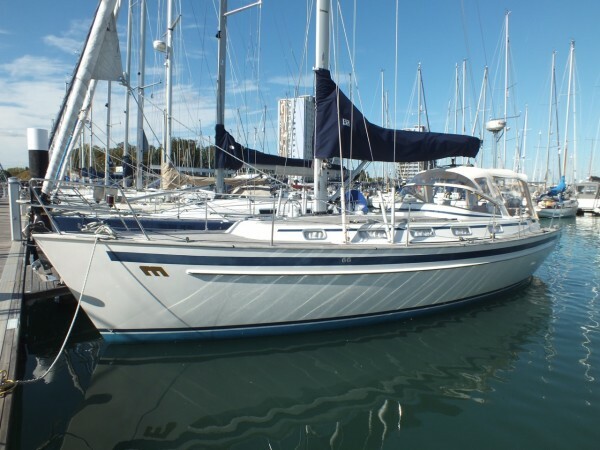 A rare opportunity to buy a lightly used, young Malo 37. to find out more about this lovely boat.